We have released a simpler interface for our Settings, and hope this has made it easier for you to find where to customize the different aspects of the app. Feel free to share your feedback on this at support@returnmagic.com, we look forward to hearing from you! Want to track Return Magic’s system status in real time? We have released in-app status notifications, to make sure that you are kept in the loop on the app’s status at all times. For more details on any incident, you can always refer to status.returnmagic.com, and subscribe to email notifications. How can I edit the font of my portal? With the new Settings, we also released Portal Themes, which you can find under Portal > Design. This will allow you to easily change the font on the portal to match your store. Stay tuned for more theme releases, and feel free to send any requests or ideas our way! We started featuring some of you - amazing brands - who work with us. Some of your stories are simply fantastic and we believe the world should know about the amazing work done by our merchants to make shopping magical. Read here the story of HER Line, an Australian fashion brand. We’ve reached out to some of you for our next stories, so expect a steady flow of successes featured in the future! As always, we want to thank you for your continued trust and support. Feel free to reach out to us with feedback - we use your input to decide what to build and write about next! 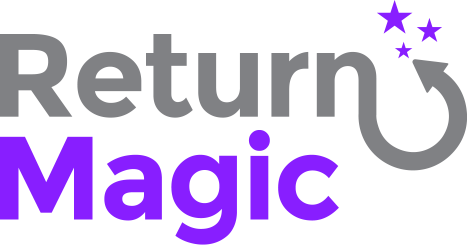 Simply reply to this email, or contact us at support@returnmagic.com. We look forward to hearing from you!